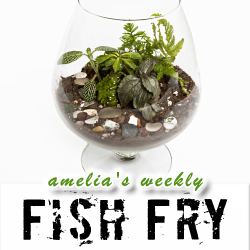 In this week’s Fish Fry, I look at the importance of ecosystems – in today’s electronic products as well as in the tools we use as designers. I chat with Sam Sattel of Altium – one of the most progressive companies in the industry in establishing a cloud-based ecosystem for electronic design. We discuss the most recent innovations at Altium, including the new tools available in Altium Designer and the interesting way Altium deals with software updates. This week I also look into the projected BOM cost for a real-life Death Star and unveil my favorite place to play retro video games. I have another MAX V CPLD Development Kit courtesy of Altera to give away this week, but you’ll have to tune in to find out how to win.